Before you stop working, take some time to imagine how you want to spend your days as a retired person. It’s certainly valid to spend a few weeks or months relaxing, but eventually you will want something more fulfilling. Make lists, explore your options, and set goals before you retire to make the transition easier, and avoid the feelings of being lost or unfulfilled that plague many retirees and often lead to depression — or a desire to go back to work. For most of your career, you’ve probably been more focused on acquiring assets than you have been on how you plan to use them, both in retirement and after your death. This time when you are shifting into a new phase of life is the perfect time to think about how you want your estate to be handled after your death. By making a plan now, which might include drawing up wills, establishing trusts, or designating new beneficiaries, you may be able to protect and maximize your assets while you’re still alive while also making sure that your loved ones receive everything that you want them to. While the majority of Americans over age 65 qualify for Medicare health coverage, you still have to make a few important decisions about your health coverage to ensure that all of your needs will be met. For example, you may opt to purchase a Medicare supplement plan to cover additional services, or a Medicare Advantage plan that will meet all of your needs with one policy. You’ll have to choose a Part D plan to cover your prescriptions, as well. If your employer offers health insurance to retirees, compare their policies to your Medicare options to ensure that you are getting the best deal. Health insurance isn’t your only concern, though. Most financial advisors strongly recommend that retirees purchase long-term care insurance to help cover assisted living or nursing home costs, should you need them; more than 70 percent of older Americans do need some sort of long-term care, making this coverage a good investment in your financial security. If you do not have life insurance, now is the time to buy; consider adding a small “final expense” policy that’s earmarked specifically for expenses related to your burial. Doing so prevents your loved ones from having to pay for your expenses out of pocket or take money from your estate. It’s also a good idea to review your homeowner’s and vehicle insurance policies when you retire. You may be paying for more coverage that you need. For example, if you are no longer driving your car to work every day, the lower mileage could qualify you for a lower insurance rate. Not to mention, there are specific insurance programs for retirees that offer comprehensive coverage at lower rates than you may be paying. Retirement is an exciting time, and one that many people look forward to — even if “retirement” means days full of activity and in some cases, even a new career. The more prepared you are, financially and emotionally, the happier and more fulfilled you will be when you are no longer working. Questions: What other things do you need to think about before retiring? 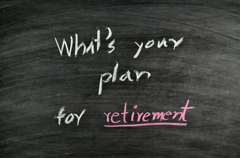 What do you plan to do once you retire? Do you have a will or an estate plan ready? My parents are working on becoming retired in the next few years. One of the biggest aspects of retirement for my mom will be how she’s going to spend her time. I like the idea of imagining how the days will be and what you’d like to do. I will have to suggest that to her and help her make some lists of things that would make retirement ideal so that she can start planning it out. It’s good to know that long term care insurance is something I should be thinking about. I don’t know that I will ever be in a nursing home, but it’s good to prepare just in case. I will have to look into the different options for this type of insurance. Brian, the tip that you mentioned about considering insurance coverage sounds really smart to be doing. With my age it’s something that I would need to start thinking about. Well, mainly because my son introduced me to a qdro preparation plan that he bought for me. My father-in-law is reaching retirement age quickly, but I don’t think he and my mother-in-law have really considered what exactly they want to do with their time after they retire. My father-in-law has quite the green thumb, and if he wanted, he could probably turn their large back yard into a full grown self-sustaining garden with some gorgeous landscaping features. But what happens after that gets boring? I really like your advice to consider insurance coverage. Oftentimes, people don’t really think of that as a necessary thing to do. However, it really makes a difference on how well you are taken care of after the process. What is a good form of coverage that you would suggest? My parents are both retiring soon, and I’m trying to help them make the adjustment from working to retired life. That being said, my biggest worry for them is where they will live. They are both getting older and needing more help doing daily tasks, tasks that I can’t help them with every day. You advised getting health insurance for a nurse or retirement home. Do you think this would be the best option for their situation? I am not planning on living on my own forever. My wife passed years ago and I am starting to slow down. At this point, I want to be proactive about retirement homes. How well does Medicare pay out for a retirement home living? I would assure that I have enough savings and fund to cover my needs and wants during retirement years. Also, I am now preparing myself with this stage of life that I have bought long-term life insurance and have computed the amount I would get after I stop working. I hope this is the right decision. I retired a few years ago and my wife pleaded with me to make a “retirement plan” for what I’d do with my time. I’m still working that out, although apparently blogging is a part of it! 🙂 It can be a big adjustment to retire, especially because working has such a large social component to it. As for insurance coverage, while it can be a good idea to have long-term care and life insurance, you might need to think about these well before you consider retiring at a traditional age, or the expense may be out of reach by the time you get close. The estate plan – you HAVE to do this! It’s often forgot about, especially for young people. But if you have kids and / or are married you absolutely need to have a will in place (at a minimum). You never know what tomorrow will bring, but you can make sure your loved ones are protected. One of the common factors that I see among those postponing their retirement is health insurance. Especially those desiring an early retirement before medicare eligibility. Before turning 65, you will need a healthy cash flow to cover your insurance needs. We do need to work on a on-paper will. We have had discussions with folks about the major aspects (guardians) but we want to make it legal and to keep folks from arguing. Obviously, it will need to be updated frequently, and that will probably be somewhat true of older, retired folks. Your situation is rarely the same today as it was 5 years ago. Yep, #1 is a huge one. My dad was the first to retire and honestly, he played a LOT of world of tanks the first few months. Then he settled into a routine and was able to help my mom with the housework (she was still teaching). I think maybe that initial lull is a normal response to retirement? They learned their lesson and my mom retired with more of a daily plan. She still took a break, but she more quickly eased into a daily routine. It’s an interesting thing to watch. I’d imagine that this side of retirement it’s easy to point fingers, while actually being in that position we’d maybe do the same. The most amazing retired people I know (schedule-wise) are older gentleman and women who fill their days with mentoring. There is nothing cooler than walking into the coffee shop to stumble upon one of them deep in conversation with a younger friend! “…that initial lull is a normal response to retirement…” I think so too Janeen. Although I’m not retired, when I quit my job to be a stay at home dad and personal finance writer I experienced much the same thing. It took me a couple of months to settle into a routine that was comfortable. Great post! We have some retired neighbors that are always on the go. Tending to their garden, building an addition for their house and raising livestock. I would love to do that when I retire. That sounds like a great life Nate…more importantly (reading between the lines) they are doing what they love and is fulfilling to them. That’s the key. We had no plans for how we would spend our day and frankly, it hasn’t been a problem. We are able to do so many things that we had no time for while working, but while most people would consider our lifestyle boring, it is perfect for us. We thought we would want to travel and while we’ve taken 3 or 4 awesome trips, we now find the whole travel scene is just a huge bother. Airport security, packed planes and constant changes by the airline to our schedule are simply become more burdensome than we care to put up with now. One thing my husband does is investment research, and he has become quite successful at it. We now have more time to just …..be. Of course, this won’t work if the retiree is someone who constantly needs adventure or activity, but we are very content. “…we are very content.” I think you nailed it with that phrase Kathy! Whatever a person chooses to do it must be satisfying for them. I think you need to consider your home / living space. As you get older you may not want to or be capable of doing the same things like upkeep on the house, mowing lawns, shovel snow etc. Is the home or city you are in now where you will live for the rest of your life? Brian recently posted…Whatâs the state of your Network? That’s a great point Brian. Housing needs definitely can change as families evolve. Sometimes it’s even related to health as older individuals have difficulty with stairs and want a one floor level home. Something smaller will mean less to manage. These are all great points, and I believe that a lot of people don’t think past the point of having enough money to provide for themselves. It is very important for seniors to have some type of purpose or job after retirement, or they will wither away a lot sooner due to boredom. Insurance coverage is very important for it’s expensive and the last thing you need is paying out extra money you did not plan for. Great article! “…a lot of people don’t think past the point of having enough money to provide for themselves.” Very true Petrish…it’s more than all about the money. New reader here 🙂 Love your blog so far! While I’m still a ways away from retirement, I think about point #1 rather often. My parents are retiring within the next year or so, and I’m constantly reminding them to look at retirement as a “career change” rather than “no career at all.” You have to still have goals and be working toward something – whether that’s traveling the world, moving to a new city, traveling in an RV, spending time with grandkids, picking up part-time work or pursuing multiple hobbies. It’s so important to keep busy! All great tips – thanks for sharing!! Sarah recently posted…Potty training in LESS than a DAY!! Hey Sarah…thanks for reading! I like the focus on the wording “career change” as a way to picture you moving on to something new you are doing in that stage of life. I’m not sure what that means for me as I’m a long way from that myself. Great tips Brian! I know we talk a lot about the financial aspect, and that is very important, but I think #1 is a point we often overlook. I’ve seen family members step into retirement and have no clue what they’re going to do and end up really doing nothing – then I’ve seen family members who fill most of their days with things they’ve always wanted to do and overall just being productive. I’d much rather be the latter than the former as it just makes life that much more fulfilling in my opinion. John recently posted…What’s Stopping You From Becoming Financially Healthy? “…fill most of their days with things they’ve always wanted to do and overall just being productive…” That sounds like a winning formula to me John. I want to continue to be productive no matter what stage of life I’m in.